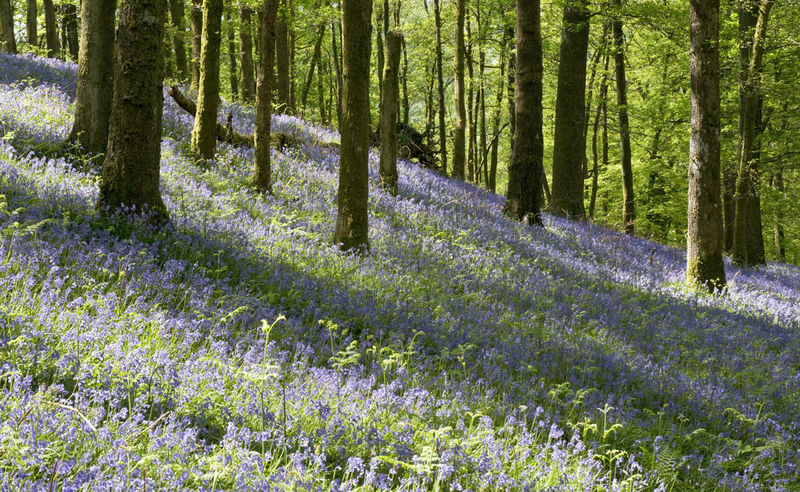 Just outside Ambleside are two beautiful woods that are well worth visiting in bluebell season. This is usually mid-May, but varies every year from early May through to the first week in June, depending on the weather that year. The first is Jeffy Knotts Wood, which begins right by the roadside and there’s a gentle woodland track to stroll up. There’s a reasonable sized area that’s absolutely carpeted with bluebells, although it unfortunately doesn’t get the late-evening light. The second place I’d recommend is Fishgarths Wood, which is much larger but a steeper walk. 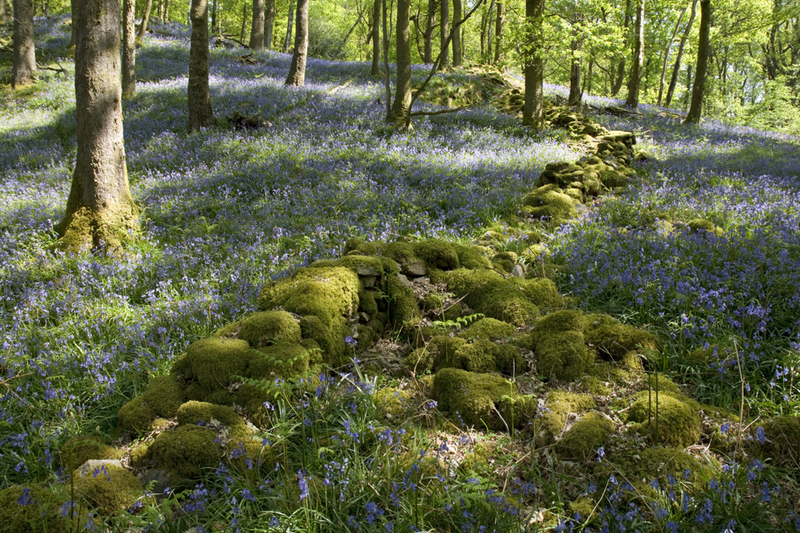 There’s a lovely winding path through it and some interesting moss-covered old stone walls. At the top of the footpath there’s also a great view over Lake Windermere, and if you’re feeling energetic you can continue up the path onto Loughrigg Fell. 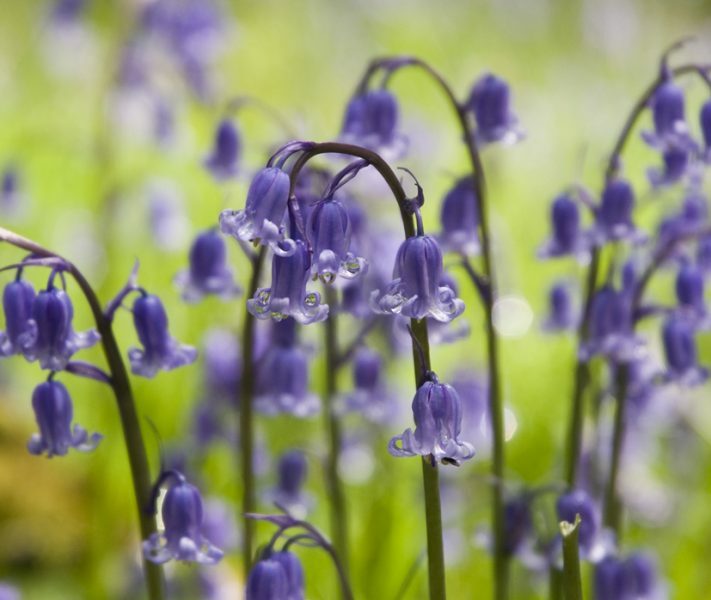 Please don’t forget that bluebells are protected, so please be careful where you stand and stay on the paths. 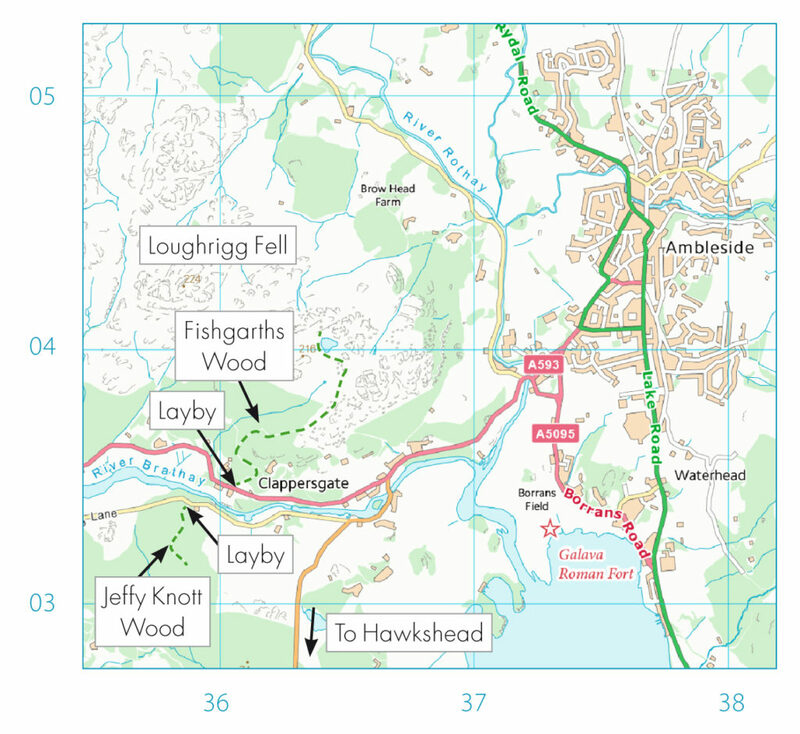 For Jeffy Knotts Wood, take the A593 out of Ambleside towards Coniston. Turn left at the first junction you come to onto the B5286 towards Hawkshead. You’ll soon see a layby on the right – turn right just after it onto a small lane that runs beside the river (signposted “Skelwith Fold”). Follow the lane for just under half a mile and you’ll find the wood on the left just after a row of houses. There’s room for two cars to park where the woodland track starts. For Fishgarths Wood take the A593 out of Ambleside towards Coniston. Continue past the Hawkshead turning for just under half a mile and look out for a small layby on the right with a big tree right in the middle of it (if you get to a sharp right-hand bend by Nanny Brow B&B you’ve gone too far). Park here (there’s room for at least two cars) and go through the gate marked “Fishgarths Wood”. Go through the next gate on the left and follow the footpath up. Both paths join up, so it’s up to you which you take (the small path on the left is shorter but steeper). 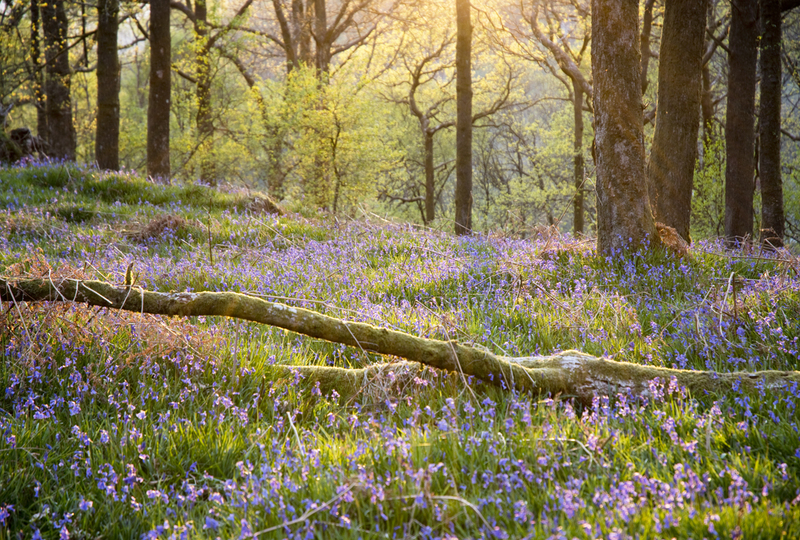 It’s reasonably steep but only takes about five minutes to get to the best area of bluebells. NY 359 034 for Jeffy Knotts Wood parking (postcode for satnav LA22 0HS), NY 361 035 for Fishgarths Wood parking (nearest postcode LA22 9NE).